Interested In Our Green Buildings? Why choose Powerbilt Green Buildings? Our Powerbilt Green Buildings are designed and constructed for energy efficiency. Our goal is to help reduce greenhouse gases while employing efficient manufacturing techniques that help control global warming. We operate under the aggressive guidelines of Energy Star. Energy Star is an international standard for energy efficient products. This program was designed and mandated by the Environmental Protection Agency. The program helps to save money and reduce wasteful practices by using methods safe for the environment. We operate under the guiding principles that call for integrated design, energy performance, indoor environmental quality and materials aimed to help save energy and protect our planet. Results are already adding up. Last year alone, Americans saved enough energy to avoid greenhouse gas emissions equivalent to those from 29 million cars, all while saving 19 billion on their energy bills. 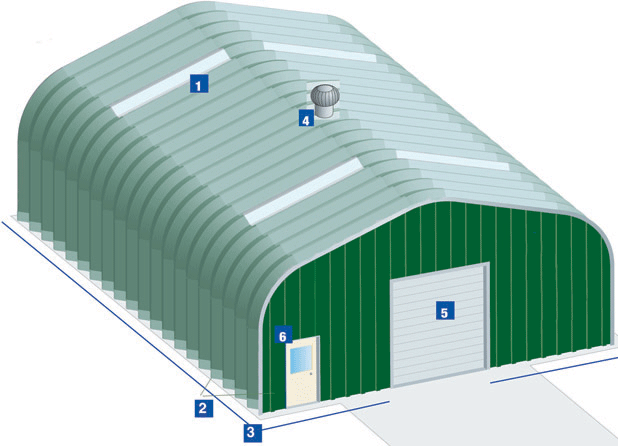 We design and manufacture our green buildings using 80% recycled steel. This practice helps to eliminate unnecessary waste and produce a resource with a longer life cycle. Steel is non-toxic and does not contaminate indoor air quality, making it safer for children and the elderly. We provide energy efficient skylights, reducing harmful UV rays and saving electricity costs. Our connector plate system eliminates the need for wood and excess concrete, translating to a savings passed on to our customers. Colored building options reflect heat, providing a more comfortable work area. The energy conservation methods practiced by our company, provides an alternative building model for you and your family to use and enjoy while contributing to environmental protection and reducing energy waste. We ask you to consider these energy saving guidelines before starting your next project. Join Powerbilt Steel Buildings and millions of other Americans who have set goals to do their part by eliminating waste and start living a green life. Your contributions will help ensure that future generations have the opportunity to live and enjoy a safe and protected planet for many years to come. 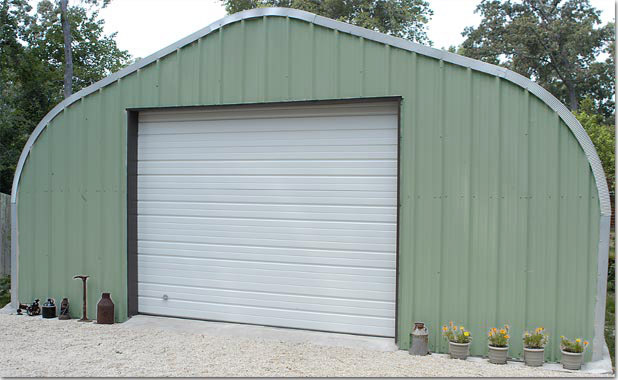 Powerbilt Steel Buildings, designed with our next generation in mind! R-10 Reinforced Vinyl Insulation-Saving energy by keeping the building cool in summer and warmer in the winter. Call 1-800-547-8335 today for more information about our green buildings. Click here to get a quote.